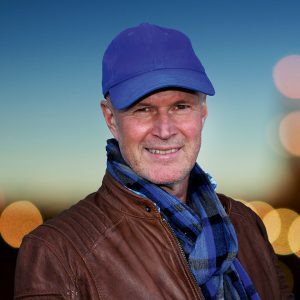 Top action reporter Óttar Sveinsson has consistently made the Icelandic bestseller lists for the last 23 years (220,000 copies). Some of his books have been published in the English-speaking countries, as well as in Germany, Denmark and Netherlands. Óttar Sveinsson’s Útkall books have been some of the most popular reading in Iceland for the past 23 years. He tells thrilling, fast-moving true stories – which the reader finds hard to put down before reaching the end. 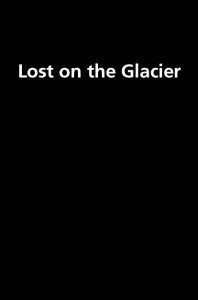 No reader can fail to be moved by the candid first-person accounts given by people who have found themselves in deathly peril, their loved ones and, of course, the rescuers who saved their lives. Five members of the crew of the Icelandic freighter Suðurland, cast adrift in a leaky rubber dinghy when the ship went down north of the Arctic Circle on Christmas Night in 1986, describe their appalling ordeal. Dressed for Christmas dinner, the men stood up to their knees in cold seawater for 13 hours. Six of their crewmates died. The Longest Night – adaptation has been in progress by a screen writer in Hollywood. Published both by PP Forlag and Documentas in Denmark. In February 1968, in a howling -10°C gale from the North Pole, fishermen fought desperately for their lives, hacking at the deadly ice that coated their vessels. Visibility was almost nil and communications only intermittent. When a wave swamped the Hull trawler Ross Cleveland, she foundered in minutes. It was reported she had gone down with all hands. Yet thirty-six hours later First Mate Harry Eddom was found alive, after an incredible ordeal. Swept around all night in the raging sea in a life raft with the bodies of two dead shipmates, he finally made land on a remote shore. After walking miles over rock and scree in a near-deserted fjord, he took shelter by an uninhabited cabin for a second long, cold night, until a young shepherd lad chanced upon him. Harry Eddom’s “return from the dead” made international news headlines. 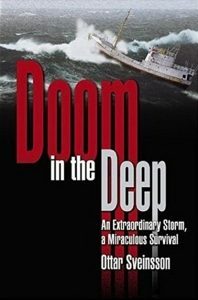 Óttar sold world English-language rights for Doom in the Deep (his 8th book – foreword by BBC TV personality Magnus Magnusson KBE) to the Lyons Press in USA in 2004. Hollandia/Gottmer, Netherlands published Doom in the Deep in 2005. 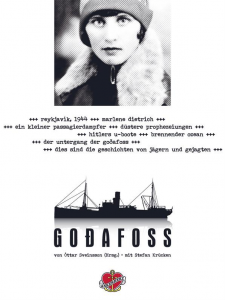 The first obituaries had already appeared in the newspapers, five days after an airliner returning to Iceland from Europe went missing in 1950 with a crew of six on board, and 18 dogs – when a faint radio signal was picked up: “Location unknown … all alive.” An extraordinary chain of events followed. People wept in the streets with joy that the crew were alive. But how were they to be rescued? It was the most demanding rescue in Iceland’s history. 10,000 copies sold in Iceland.